Click on the photos to get a larger picture. 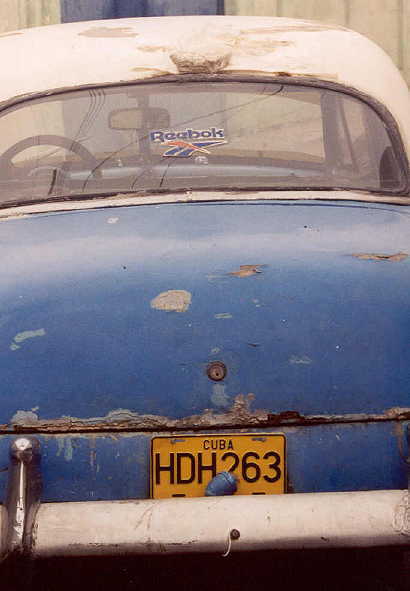 Click the "back" button to return to this page. 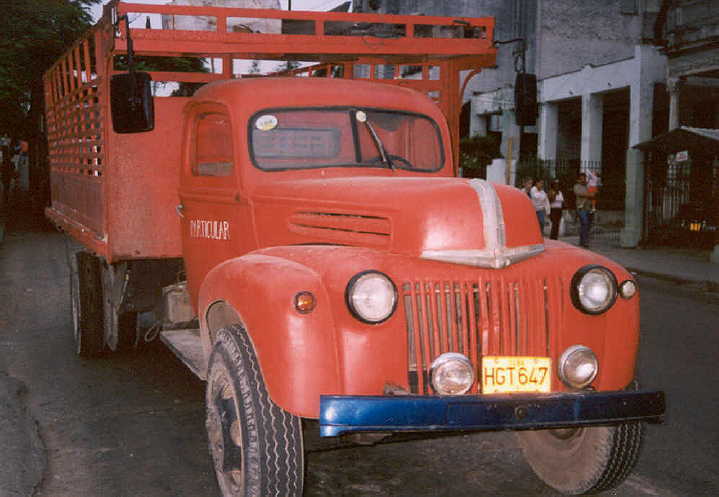 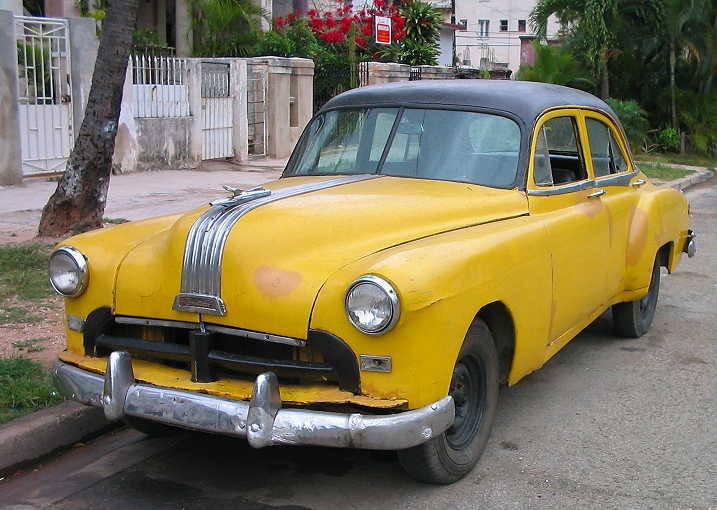 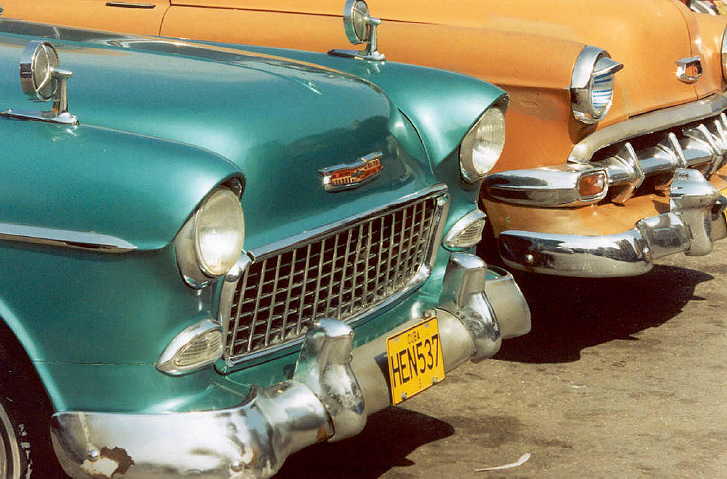 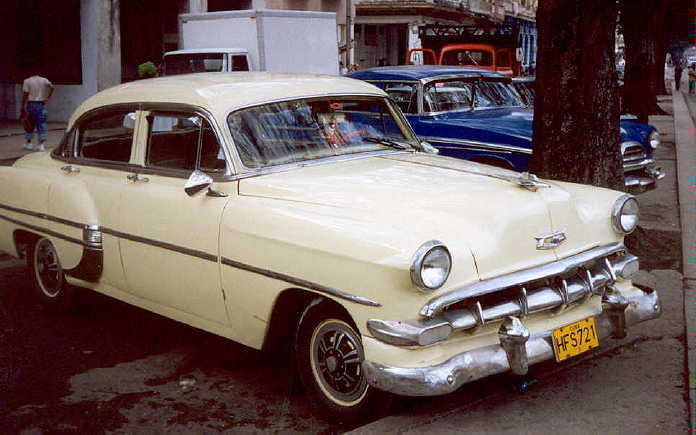 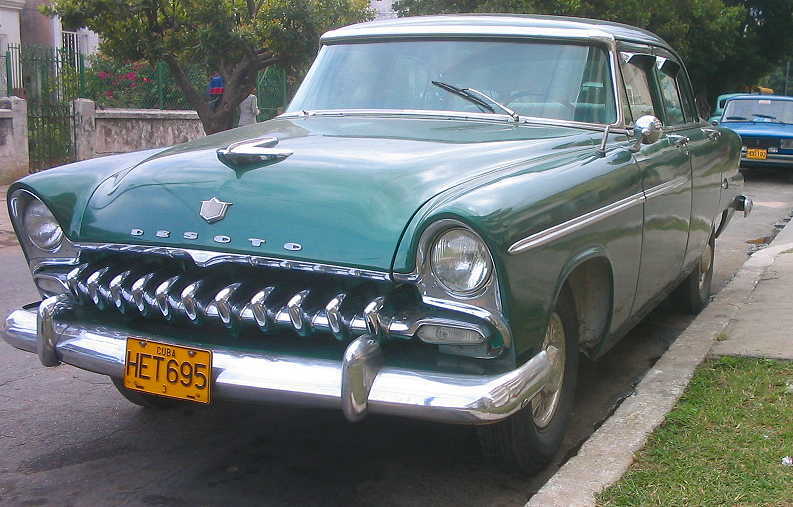 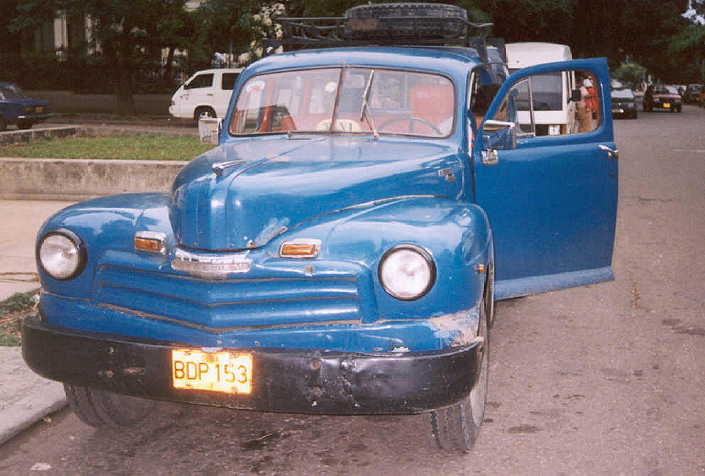 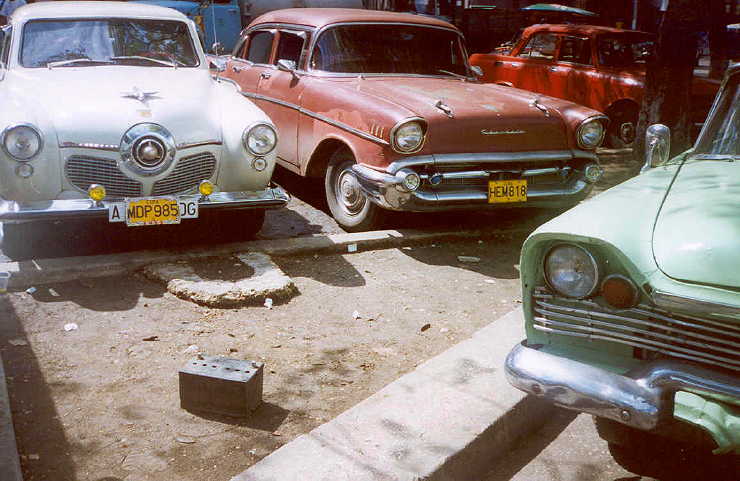 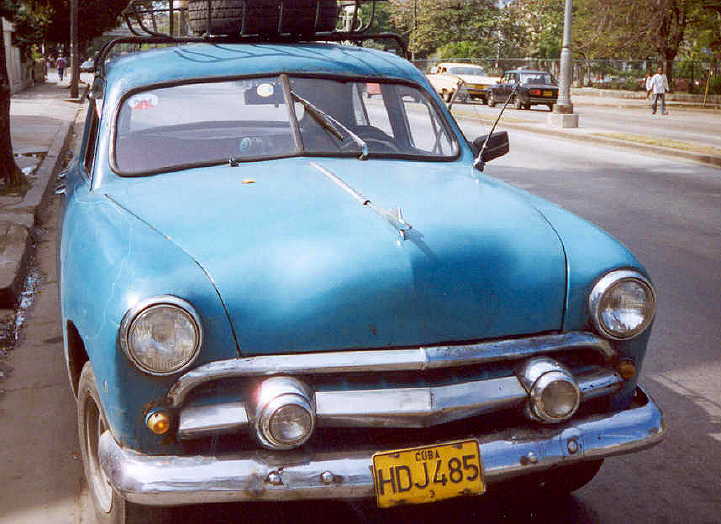 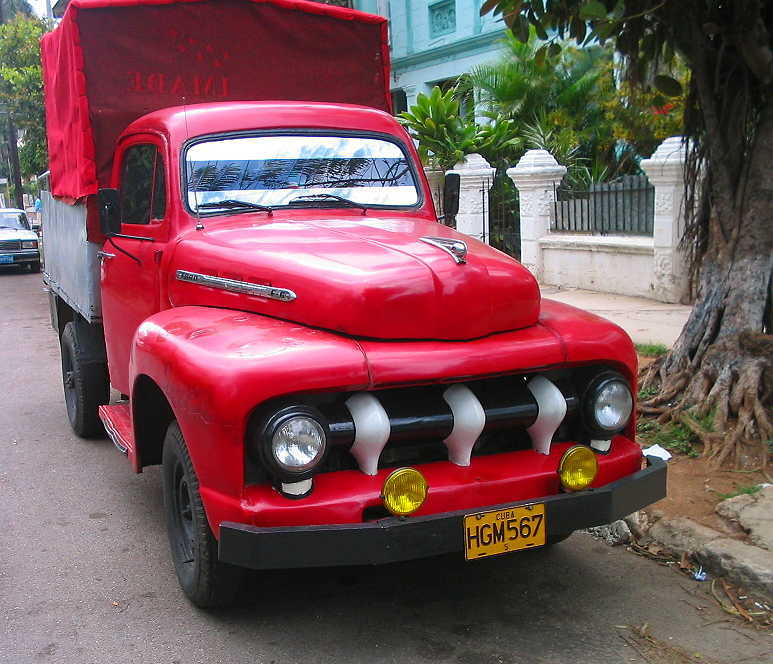 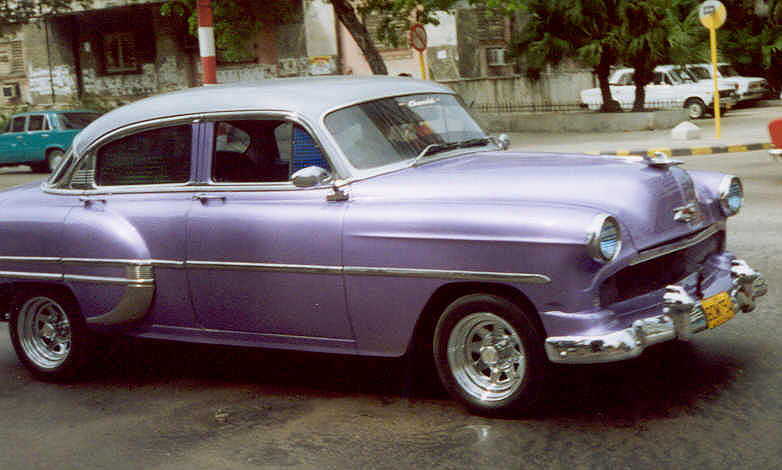 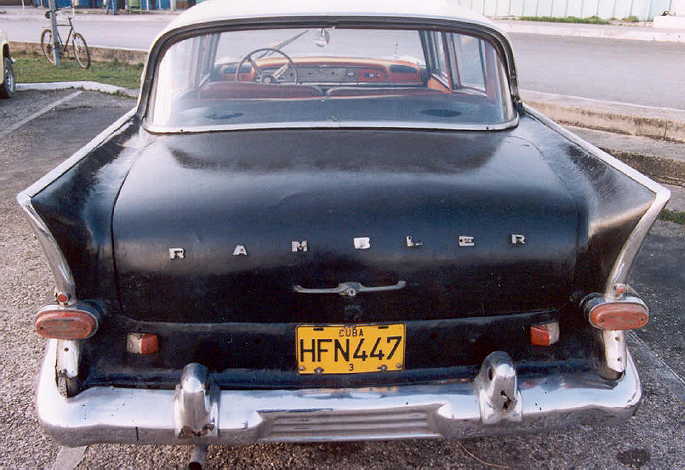 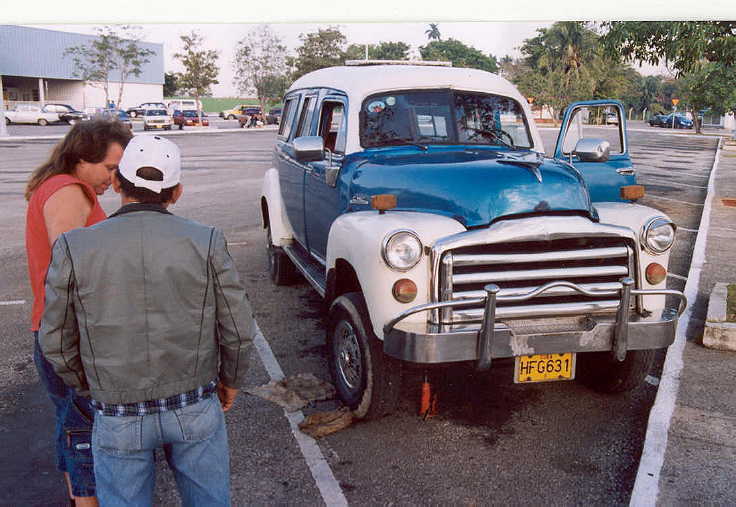 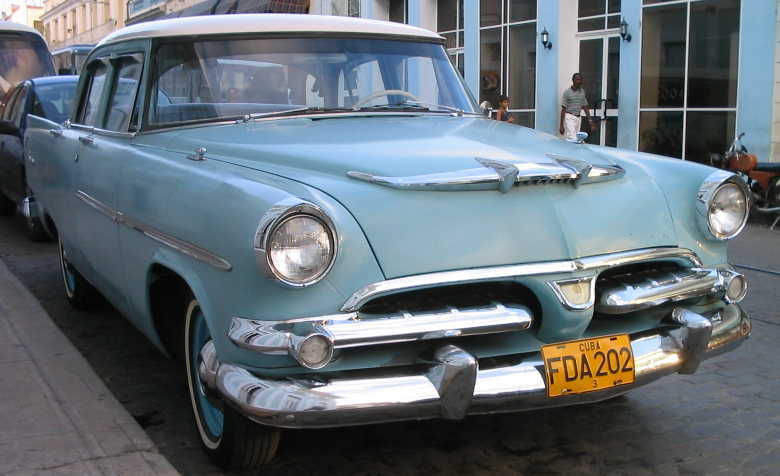 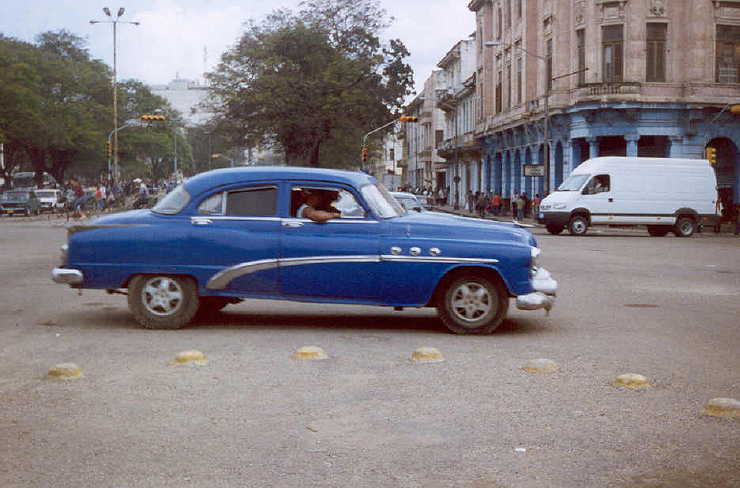 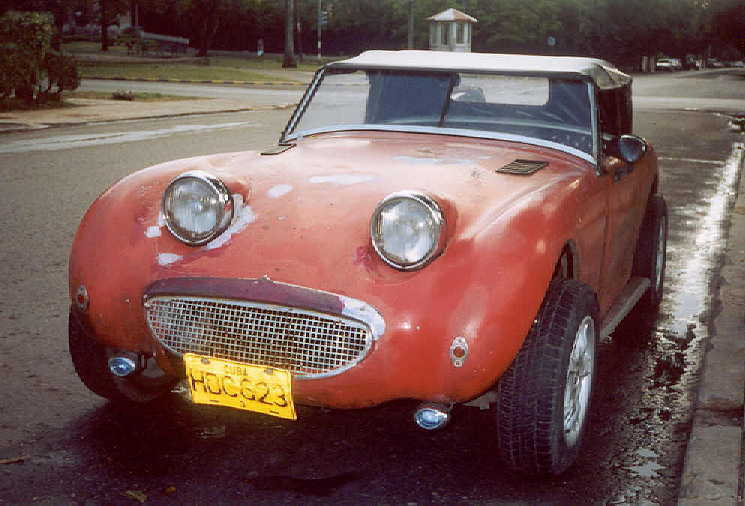 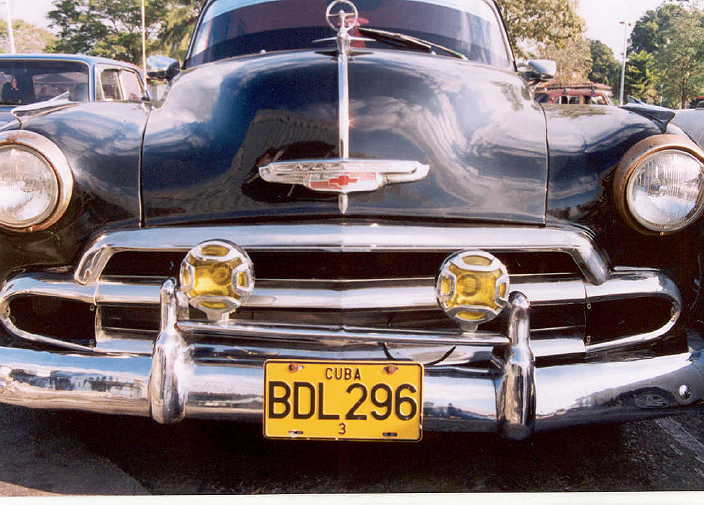 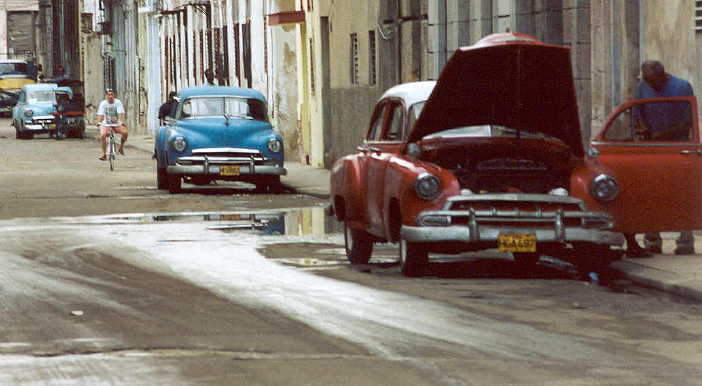 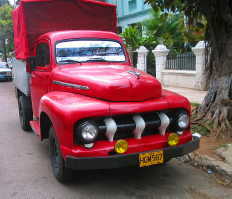 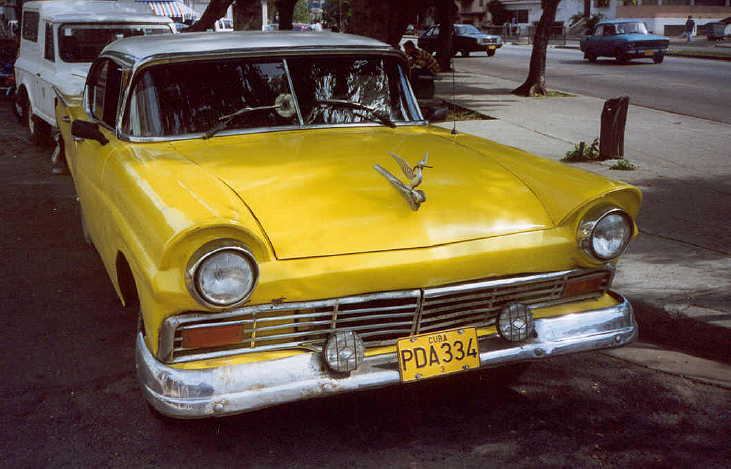 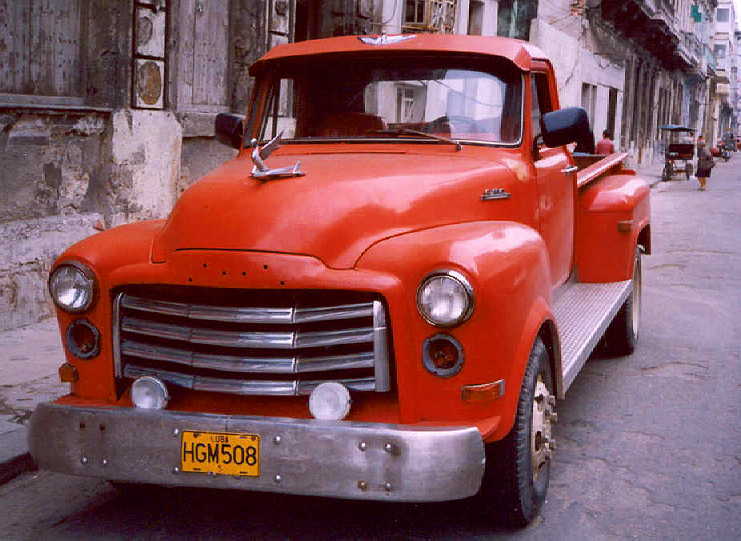 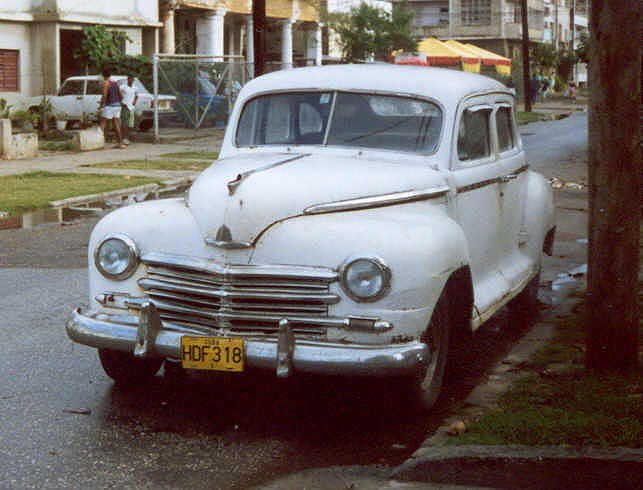 Some notes: The old American and other cars in Cuba sometimes are frequently modified heavily to keep them running. 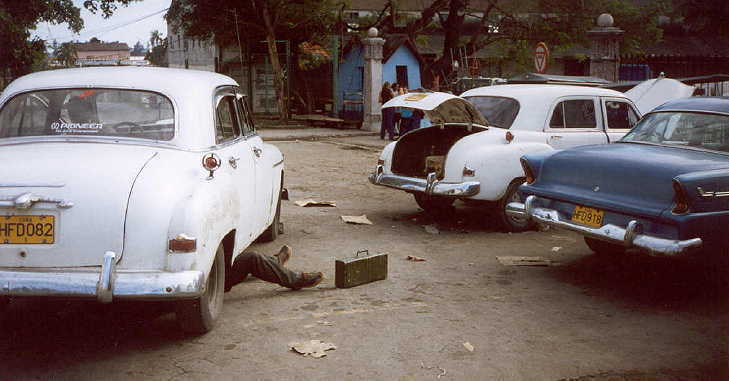 An example (right column, fifth photo down), the gentleman is looking at a Muskovitch (Russian) engine in a Studebaker. 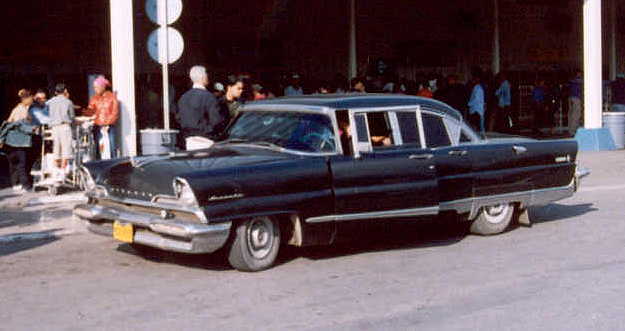 The old Buicks often have had a diesel engine installed. 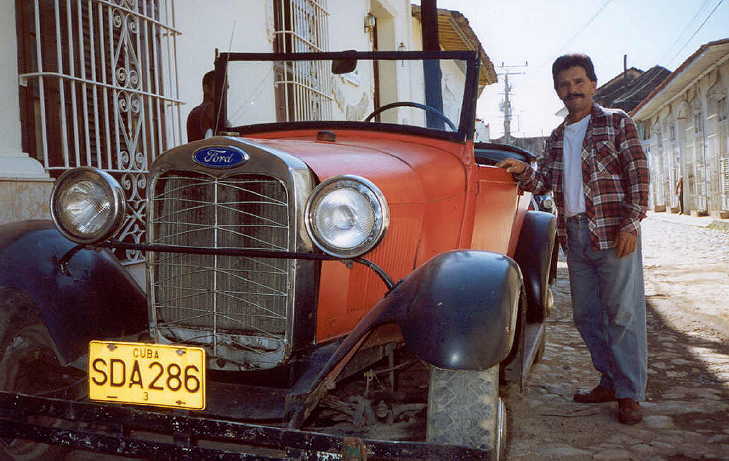 But the old Ford (left column, six down) still has the original engine. 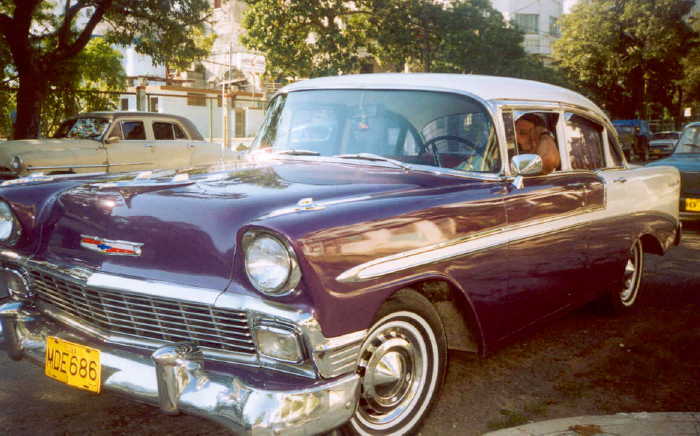 Also it should be noted that Cubans are increasingly aware of the value of these cars, particularly when visiting Americans like myself become nostalgic about them. 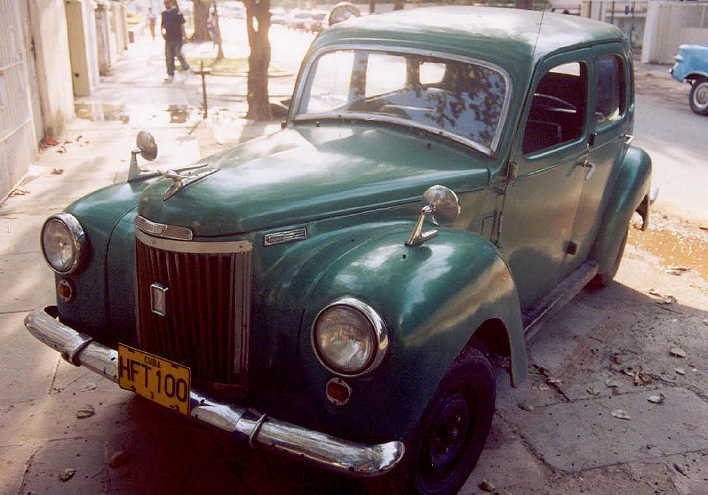 One company, Grancar, is making a business out of renting these cars to tourists, "Rentar una fantasia." 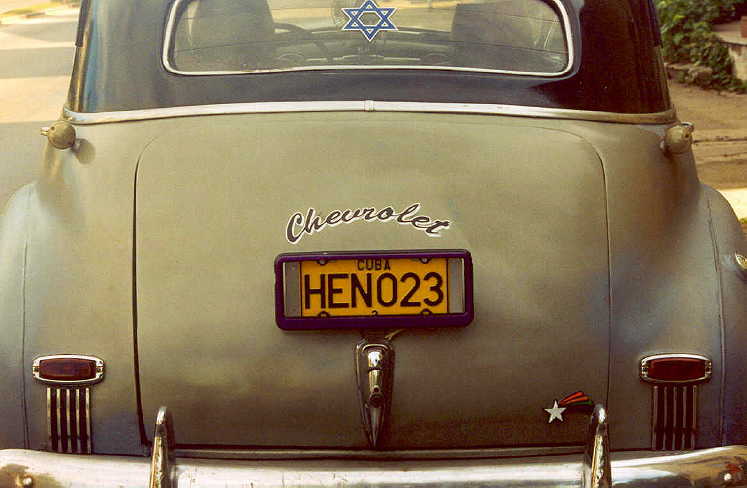 For those with memories of 1957 Chevys when they were new, this company slogan is right on target.